If you are looking for some modern furniture for your house and bedroom, then GUNNER Queen Bed with Headboard & Box Storage is the perfect choice for you. This bed is of the optimum size and is made with engineered wood. The woodsy feel and look of this beautiful piece of furniture add to the aesthetic value of your house. Additionally, the wooden compartments of the bed offer you a large space for keeping your materials safe. With a modern touch to your furniture, GUNNER Queen Bed with Headboard & Box Storage offers you a good choice of furniture for your bedroom. The wenge colour of the bed adds to your room's setting. With a polished headboard and polished architecture of the furniture, GUNNER Queen Bed with Headboard & Box Storage comes with value for money and is designed with Nikamal Quality. The bed has a melamine finish, which makes the look of this bed even more appealing and brilliant to look at. 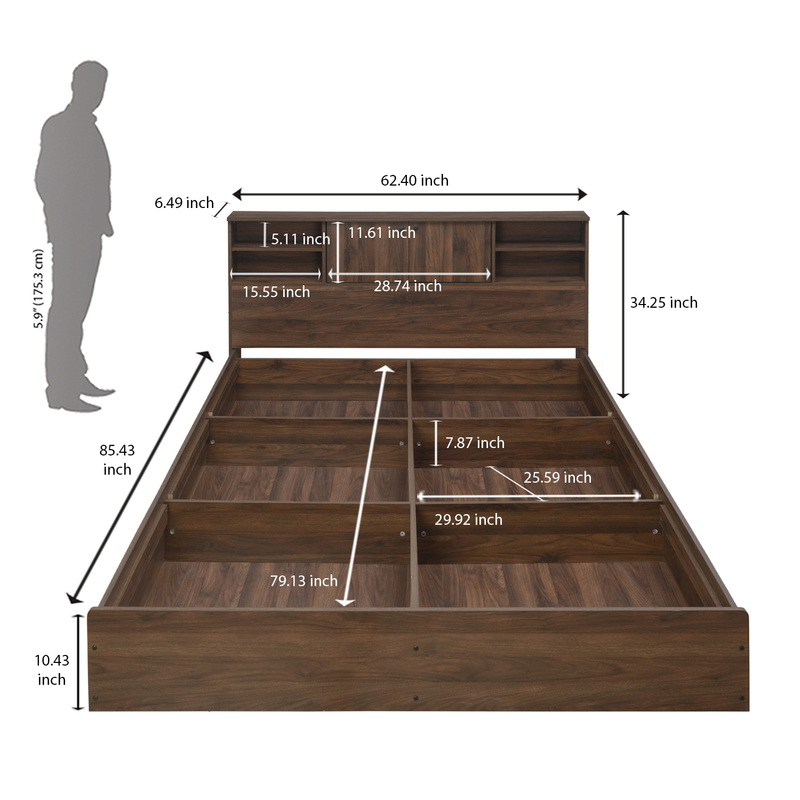 Get your GUNNER Queen Bed with Headboard & Box Storage today only from @home! @home offers you the best prices for all kinds of furniture and helps you find good grade furniture for your house. Get your queen-sized bed today!